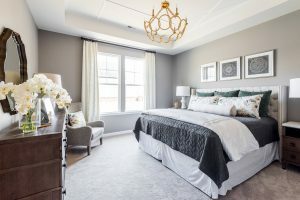 It’s no surprise that our sensational, spacious, single-story Canterbury home by Cornerstone Homes is one of our best sellers... With 1,905 square feet of open, light-filled space, your home has all of your must-haves and is completely yours to enjoy! Single-story living ensures that all of your daily needs are conveniently located on one floor. It all starts with a covered front porch that leads into an inviting foyer with a vaulted ceiling, and a great room that encompasses the dining room and kitchen. Natural light streams into this home through large windows and glass doors overlooking your private courtyard! Head inside and enjoy your chef’s kitchen, complete with an oversized island and curved granite bar, perfect for entertaining groups of all sizes. Whether you have your family over for a delicious dinner, or a bunch of friends for a wine and cheese tasting, your kitchen accommodates all of your needs. 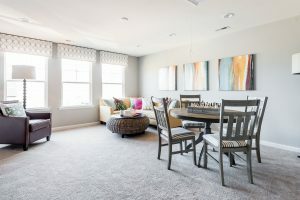 Off the main living area are several flex rooms which can be tailored to your needs and lifestyle. The four-season veranda with walls of windows and a vaulted ceiling can be a TV room, reading room, or space to have your breakfast and coffee and soak up the special things about each season. In addition, you have a private office with french glass doors which can also be a den or library. With a spa-like bathroom and walk-in closet, your luxurious owner’s suite is your private retreat. The guest suite is conveniently separated from the main flow of the home, providing additional privacy for family and guests. this home. Just in case you need a bit of extra room, you have the option of a large upstairs bonus suite with full bath and walk-in closet. Think hobby room, man cave, grandkids space or an extra owner’s suit. Several other features to love in this home include a cozy fireplace, outdoor courtyard, high vaulted ceilings, and a quaint and charming powder room. 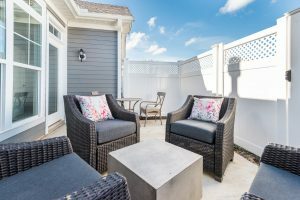 In The Villas at Ashlake, where there’s always something new to explore and every day is more exciting than the last, you’ll enjoy a beautiful pool, endless social clubs, a vibrant clubhouse, a fitness center, community gardens providing you fresh veggies, and scenic walking trails. All of the fun things you want to do are now right at your fingertips… and the best part? 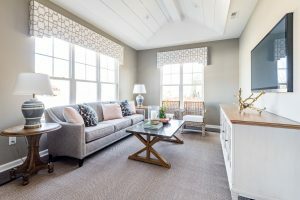 With these quick move-in homes, you can be settled into your dream Canterbury before the holidays! 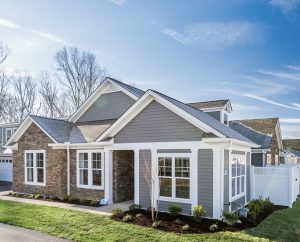 Please contact Lori at lmelton@cornerstonehomes.net or 804-409-9074 to move into your new home today!